He is dark. He is mysterious. He is emotionally artistic. He is Josiah Wise and Josiah Wise is serpentwithfeet. He is one of the most recent artists to sign onto Tri Angle Records. His first debut single, “flickering”, is simply stunning! 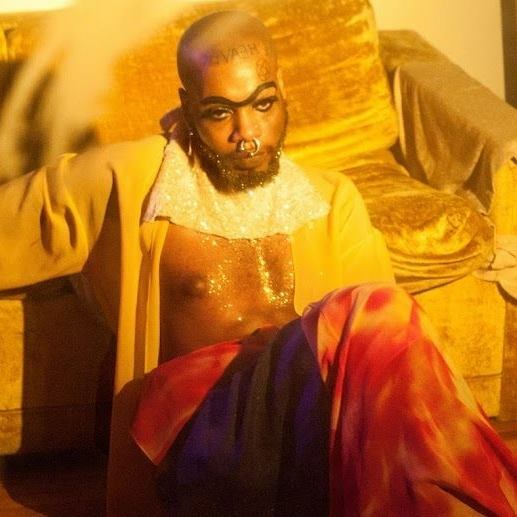 serpentwithfeet‘s “flickering” is one of those deep songs that you’ll find yourself laying on the ground crying to! “Flickering” is oddly soothing. The chords are sad, infused with minor progressions. It is charged with an emotional strength that will nonetheless move and soften you. His voice is so beautiful it makes you pause and take a moment. It’s definitely one of those deep songs that you’ll find yourself laying on the ground crying to. His vibrato reaches into your heart and stirs all your organs into a puddle of soul pudding. He can hit notes high and low with such belly strength that it’ll leave you starstruck. Josiah Wise’s talent is unquestionable! I cannot wait to see his future releases through his serpentwithfeet project. “Flickering”, like all our best new tracks, is featured on our daily-updated Spotify playlist! Connect with serpentwithfeet: Soundcloud || Facebook || Twitter and stay updated with Wise’s poetically unmatched style. Finally, check out Tri Angle Records!